Does Pest Control Take Care of Temecula Pest Problems Immediately? We recently heard a story from someone using another pest control company in Temecula that we wanted to share with you. The family had just moved onto a new piece of property and called a local pest control company for service. They had the usual pest problems—ants and spiders. They could see a trail of ants going directly into their house. The pest control company came and sprayed for ants and spiders, but a few hours later, the homeowners noticed that the ants were still there. The infuriated husband thought they had been ripped off by a fraudulent pest control company that had come and just sprayed water around their house. However, his wife convinced him to wait it out before calling the pest control company and demanding their money back. It took some time, but eventually the ants went away. The husband calmed down and all was well. Even though this story isn’t about one of our own pest control customers, it reminds about the importance of giving our customers realistic expectations. Not all pest control treatments work on contact, and sometimes it takes more than one visit from our technicians before a problem is eliminated. Rodent elimination is a prime example. We typically use a combination of bait stations and traps when you have a rodent problem. It may take the rodents days or even weeks to take the bait or get caught in the traps. Roaches are another type of pest that aren’t easily eliminated with one treatment. 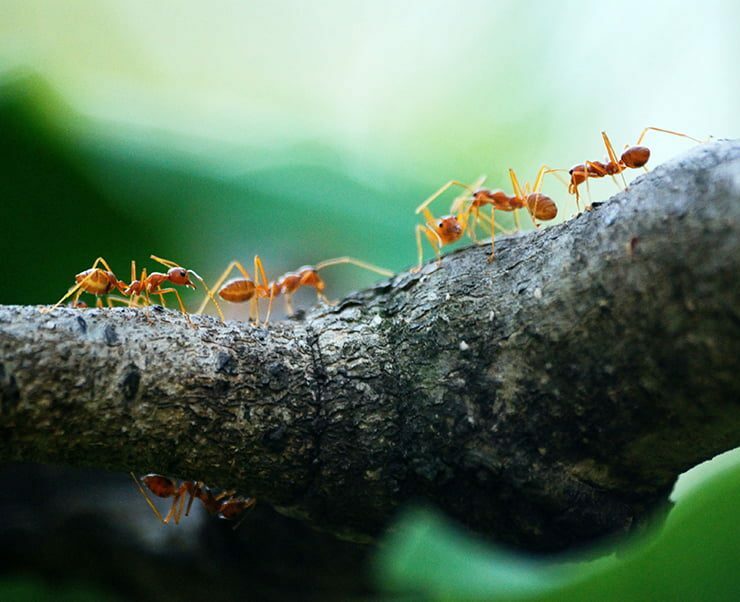 Large ant infestations also may require several visits from your Temecula pest control company before they are under control. Had the homeowners in our story been informed that their ant problem might not go away instantly, they might have been more patient. They almost certainly wouldn’t have been so upset. At Knockout, we always do our best to communicate with our customers and give them a good idea of what to expect. In addition, our technicians are always willing to answer questions about the type of pest control treatment they are doing so you never have to wonder. We use some of the most effective treatments available for the common pest problems in Temecula, Murrieta, and Fallbrook, but even those methods don’t always completely eliminate the problem the first time. That’s why we offer regular service plans, where we come out for regularly scheduled visits, but will also come out in between visits for no extra charge if you are still experiencing pest problems. If you are experiencing pest problems, such as ants, spiders, roaches, or rodents, we’d love to help you become pest free! Contact us to schedule a free inspection and to learn more about our regular service plans.